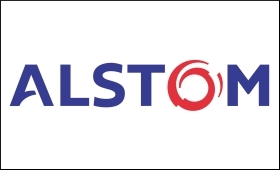 In a bid to meet Montreal Metro and Mumbai Metro orders for trains, Alstom India will be doubling its capacity at its plant in Sri City in Andhra Pradesh, near here, said a top company official on Thursday. "We will be doubling our capacity by setting up a new line that could manufacture 22 cars per month. We are also studying the feasibility for rolling out trains made of aluminium." "India is a major manufacturing and engineering centre for Alstom," Ling Fang, Senior Vice President, Asia Pacific, said.